Sometimes you just do what you gotta do! Screech-owls are opportunistic diners. In the Pacific Northwest, they’ll prey on small birds, crayfish, large ants, or earthworms. In Arizona, pocket mice and pack rats. 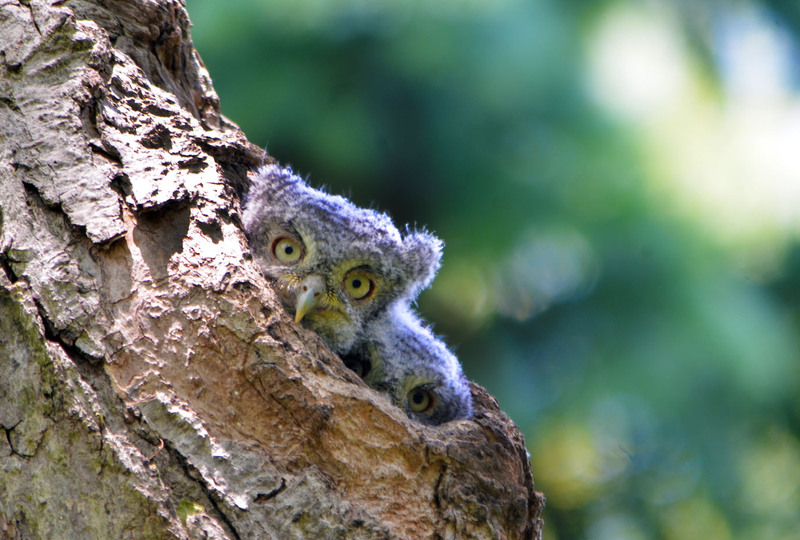 And in Ohio, biologists who noticed a fishy smell around Eastern Screech-Owl nest boxes found the remains of dozens of shad. It’s clear that screech-owls may be a consistent nocturnal predator on fish, especially in cooler months, when other prey are dormant. Gotta feed those hungry owlets! In 2011 biologist Bret Harvey wanted to study which predators might be nabbing trout from a California stream. So he tethered small, live trout on fishing line, turned on his cameras, and let nature take its course. Most of the predators caught on camera were the usual suspects: kingfisher, heron, otter, raccoon. But one was a stunning surprise. The Western Screech-Owl, a small owl—about 8 inches high—of western forests. They were videoed snatching the hapless trout in their talons. And it wasn’t a random occurrence. In this particular study, of all the trout predators, only kingfishers snagged more fish. 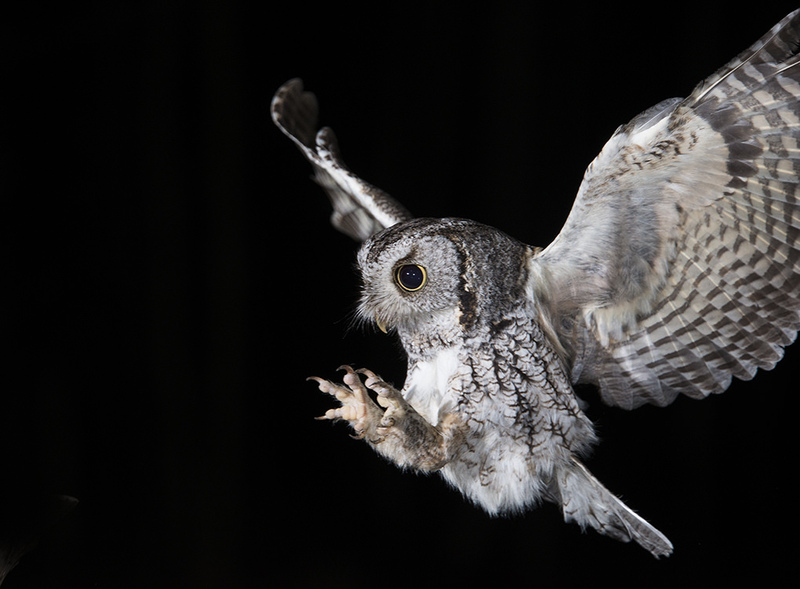 It turns out screech-owls are opportunistic diners. In the Pacific Northwest, they’ll prey on small birds, crayfish, large ants, or earthworms. In Arizona, pocket mice and pack rats. 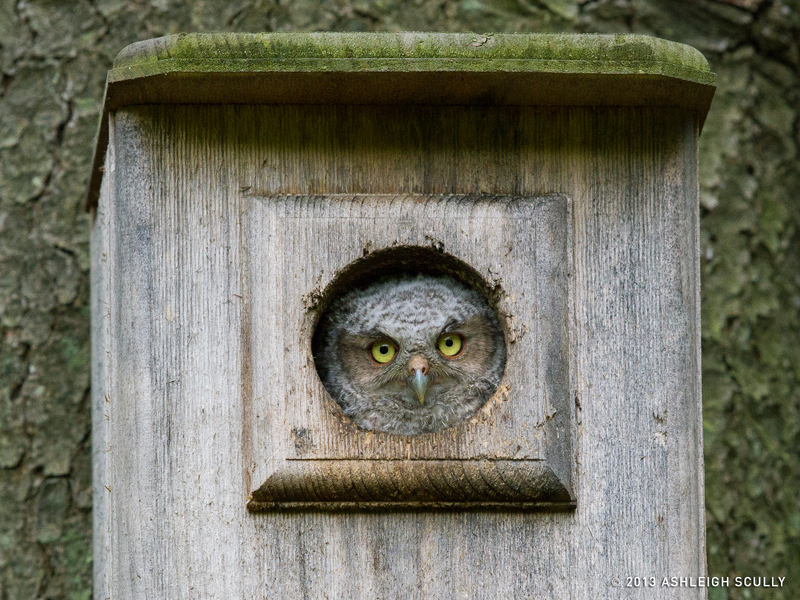 While in Ohio, biologists that noticed a fishy smell around Eastern Screech-Owl nest boxes found the remains of dozens of shad. 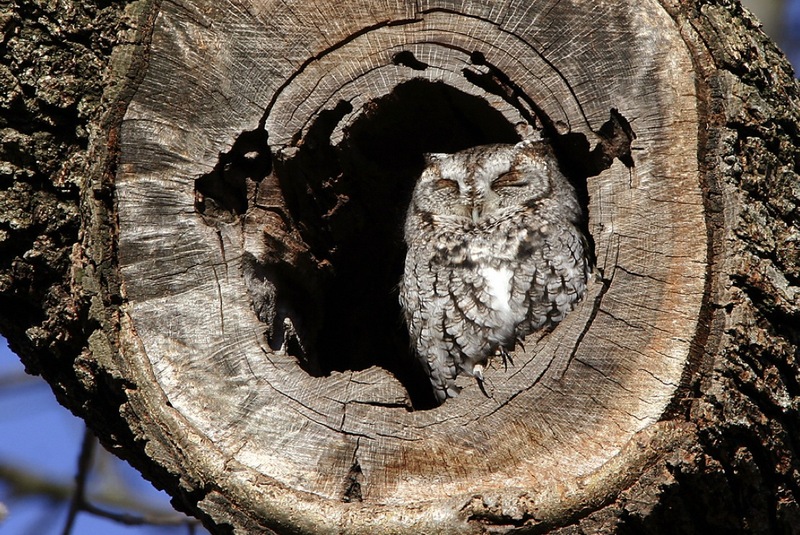 Further evidence that screech-owls may be a consistent nocturnal predator on fish. Especially in cooler months, when other prey are dormant. 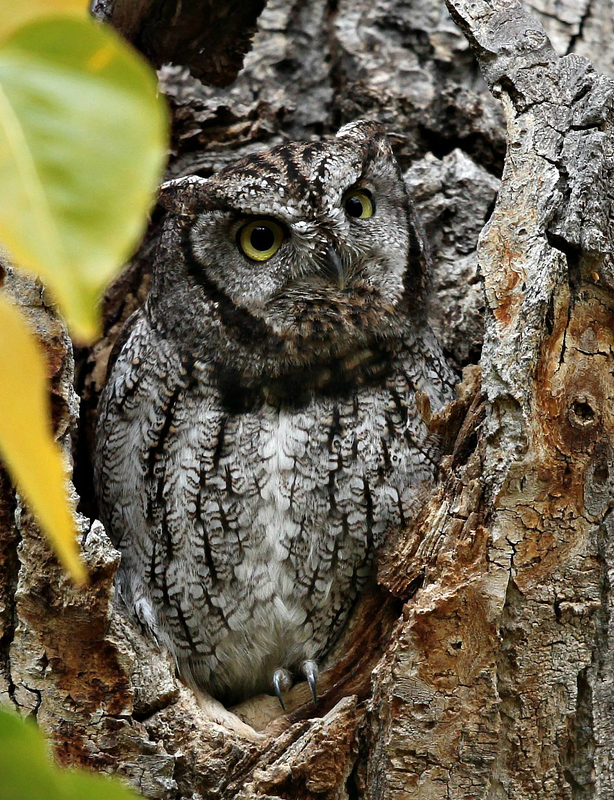 But if there’s a prize for screech-owl hunting, it must go to one individual in Idaho, which managed to stuff an entire one and a half pound rabbit into its nest box. Pretty good for an owl that weighs in at around six ounces. For BirdNote I’m Michael Stein. Bird sounds provided by The Macaulay Library of Natural Sounds at the Cornell Lab of Ornithology, Ithaca, New York. Western Screech-Owl  recorded by David S Herr.